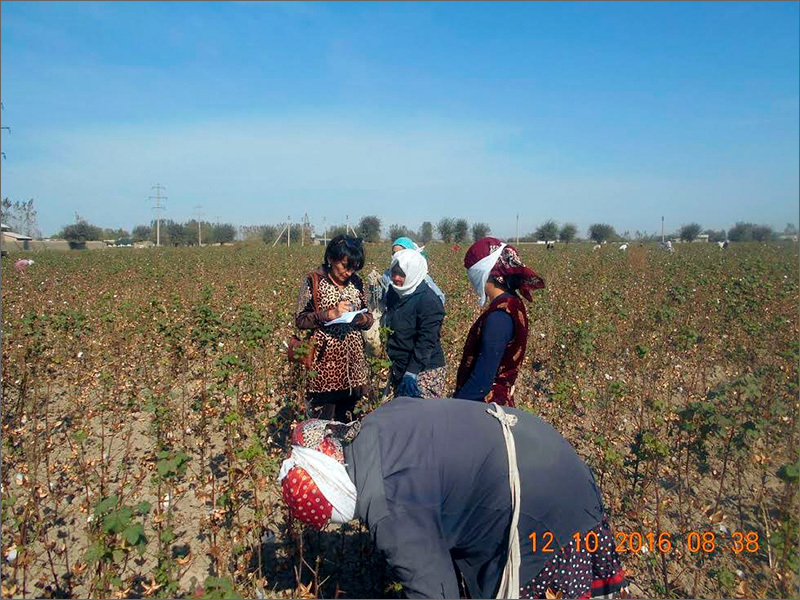 Uzbekistan is planning to decrease the amount of manual labour in agriculture, in cotton cultivation in particular, by 30 per cent. The issue was discussed in print materials distributed during the 12th International Cotton and Textile Fair recently held in Tashkent. Interestingly, three fairs ago in 2013, then-Premier Shavkat Mirziyoyev, who is currently applying every effort to get used to the presidential chair, promised machines would collect 80 per cent, if not 90 per cent, of all cotton crops. Not to happen. The Uzbek authorities are now less optimistic—machines will collect only 30 per cent of harvest by 2020. This means the state-run system of forced labour will further be implemented in Uzbekistan, and the Uzbek authorities will continue diligently hiding this from the World Bank and International Labour Organisation. The latter two, by the way, do not seem to be very keen to uncover and discover any violations—doing so is unnecessary at this time. This also means two genuinely human rights advocates will have to continue monitoring the situation despite problems and obstacles the local authorities continue mounting to prevent their activities. They call themselves Besstrashnye [The Fearless Ones]. The group includes Yelena Urlayeva, the leader of the Human Rights Alliance of Uzbekistan (HRAU), and Malohat Eshonqulova, an independent journalist. Every single day they prove they deserve the title of Besstrashnye. 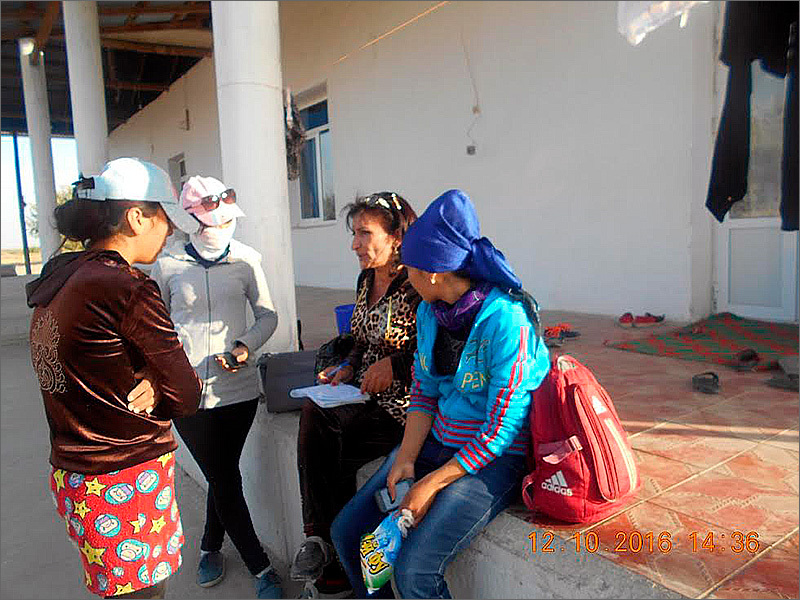 They spend many hours traveling to remote areas where they are often met with slurs, arrests, searches and humiliation. But the Besstrashnye do not give up and continue visiting various agriculture fields throughout the country to prove to the world, the World Bank, and the International Labour Organisation that the Uzbek government is lying to them, claiming they no longer utilise forced labour and continuing to coerce the citizens into conditions of slaves by hiding behind patriotic slogans. Mesdames Urlayeva and Eshonqulova are risking their lives while collecting simple proofs, i.e. records of conversations with and photographs of cotton pickers. In the reports they dispatch they indicate all information they have: names of places and people they interviewed or their interviewees told them about. But we will mostly omit those names to ensure safety and security of Besstashnye’s interlocutors. Having visited agriculture fields in Tashkent, Syr-Darya and Bukhara Regions, Besstashnye arrived at Pastdargom District of Samarkand Region on 12 Oct 2016. They met doctors, teachers, university and college students who were forced to abandon their daily activities and collect cotton. Besstrashnye emphasise the fact there are several World Bank-funded projects currently underway in said region. Obviously all of the tender documents pertaining to the World Bank prohibit the use of child and forced labour; and yet, there are hundreds of people forced to collect cotton on these fields. 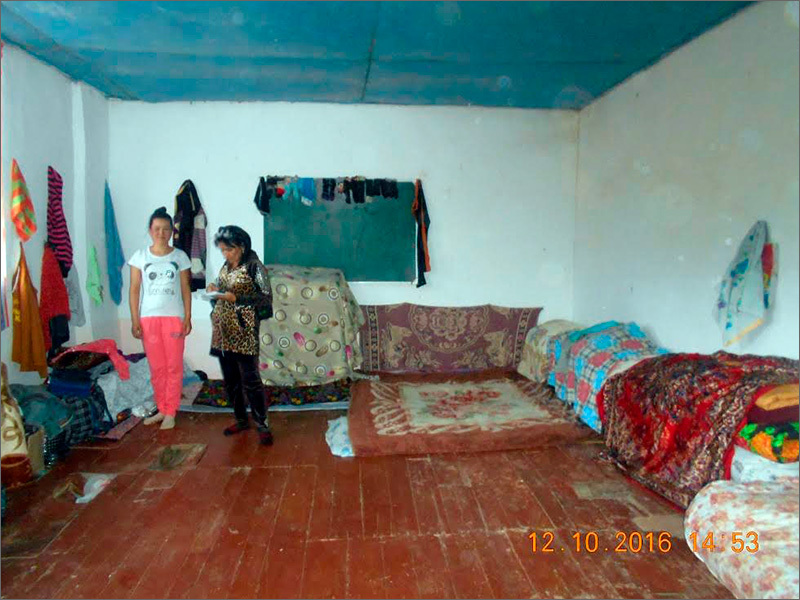 Besstrashnye report that cotton-pickers from other parts of the region spend nights in school buildings and houses of local residents; the latter are not always welcoming the tenants forced upon them. 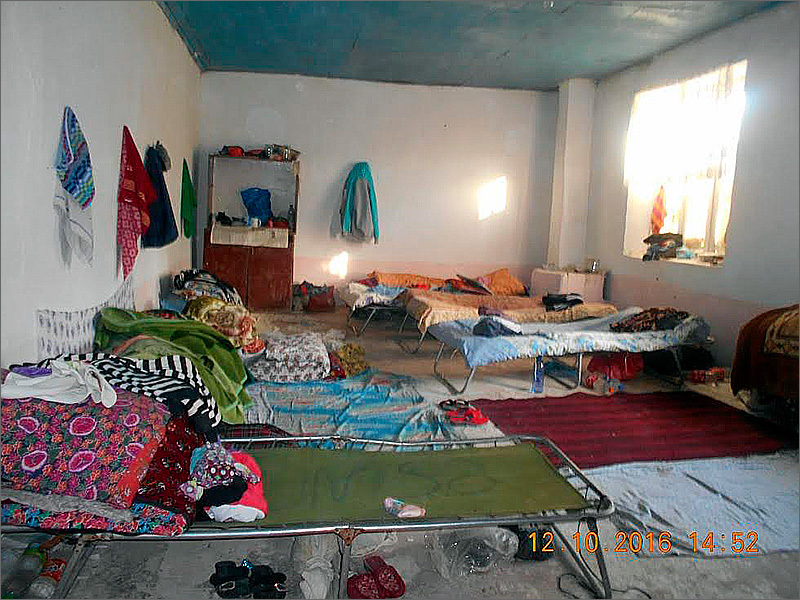 For instance, 11 female educators from the Siab Architecture College in Samarkand have been living in the house of a female resident in the village of Kavon. The house owner complained to the rights advocates that she has to sleep in the same room and they pay for neither electricity nor gas. According to her, there is no natural gas supplied to houses; resident purchase propane gas. In total, there are some 300 educators summoned to cotton fields since mid-September. Besstrashnye not only interviewed local and visiting cotton-pickers, but also shared leaflets with information on the prohibition of forced labour. “The daily requirement used to be 70 kg. But now the plan is 20 kg a day because this is the fourth wave of harvesting and there is no cotton on the fields. We are collecting 20-30 kg a day,” two female cotton-pickers told the human rights advocates. They also said they were hired for 20,000 soums (6.6USD at the official exchange rate) a day by two teachers at the first academic lyceum in Samarkand. The human rights advocates arrived at the Toskulton collective farm in the afternoon. 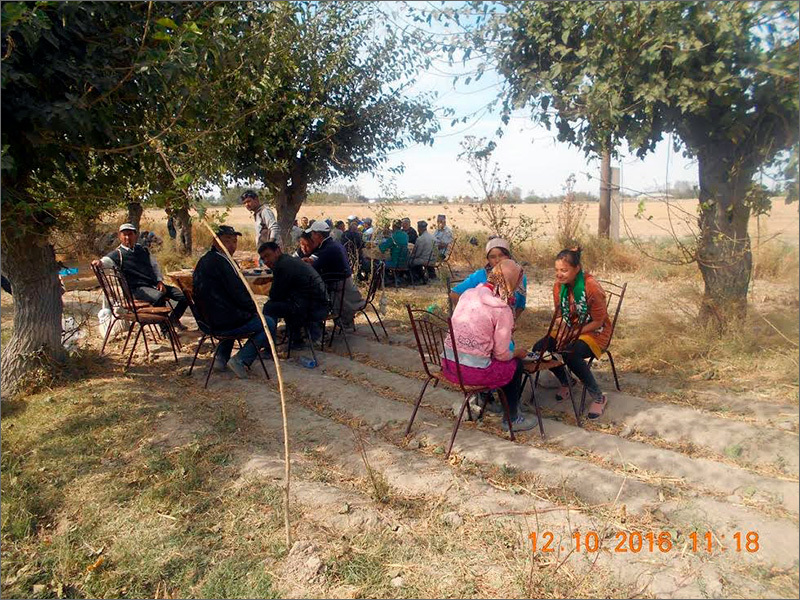 Teachers and employees from the sports, finances and other colleges in Samarkand for taking their lunch breaks immediately next to the cotton-field they were working on. Besstrashnye interviewed them as well. According to these interlocutors, students from the polytechnic and pedagogical colleges have been spending nights in a school in Toskulton. Besstrashnye provided them with leaflets on the prohibition of forced labour. Teachers from three schools in Samarkand District have been assigned to live in the village of Galapat, which is part of the Sharof Rashidov collective farm. The cotton-picking campaign headquarters is located in a private household as well. The principal has then called someone: “Shohruh, there are two women here. They want to interview us. Are you aware of this?” Her interlocutor requested to speak with the rights advocates. Malohat Eshonqulova and introduced herself and her colleague. Shohruh said he would call back and hung up. The school principal then called a different person. Her actions were strange in that she would neither permit holding an interview nor would not let the rights advocates leave, trying to have them stay in the yard for some reason. But Urlayeva and Eshonqulova were able to stop a car and leave. 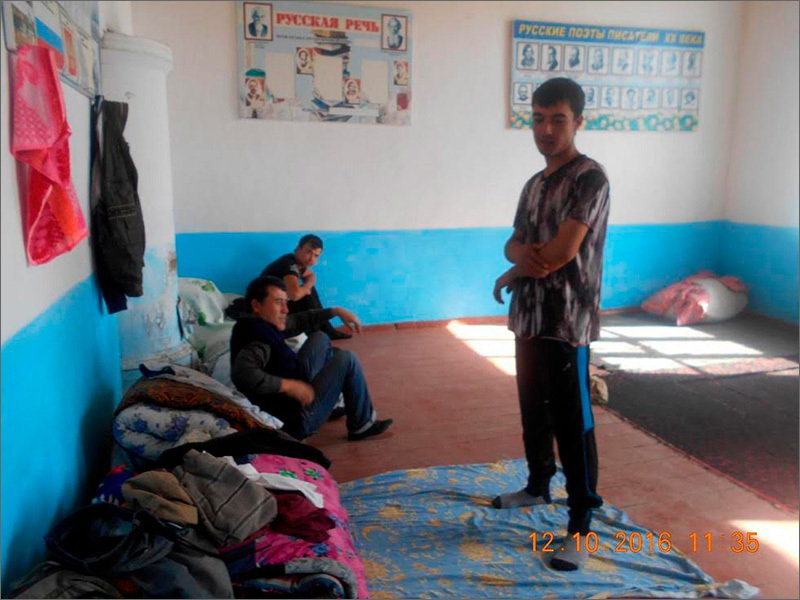 They arrived at School #71 in Galapat, where they saw students from several departments of the Samarkand State University. 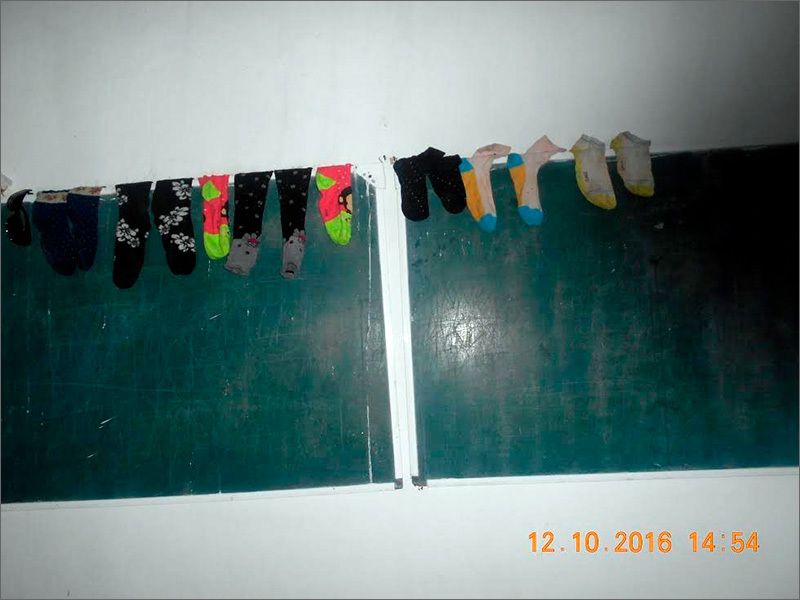 They learnt students live not only in said school building, but also in several local residents’ houses. These students arrived here on September 15. Teachers and students collect cotton crops also in the villages of Koksoq, Kurilish and elsewhere. 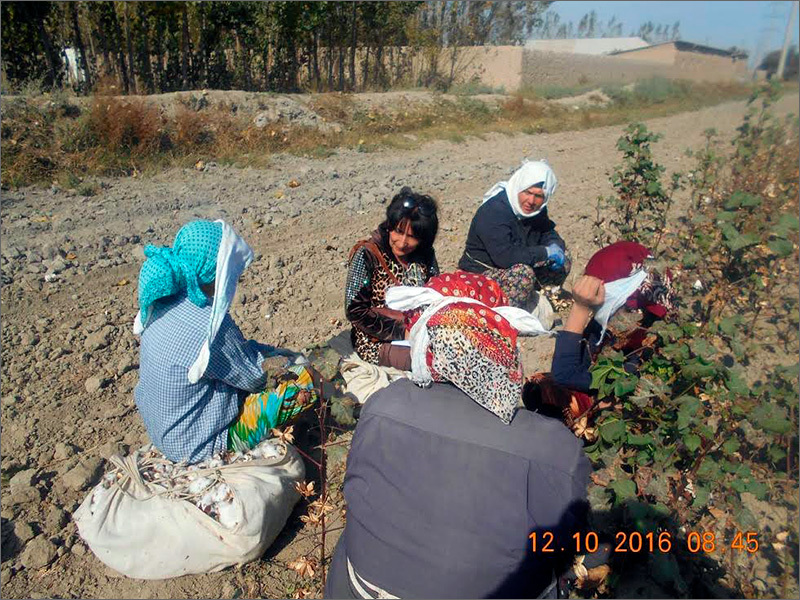 Doctors and physicians from Samarkand have been spending nights and collecting cotton in the village of Gumbaz in the Sharof Rashidov collective farm almost for a month, while doctors from Pastdargom are engaged on fields of the neighbouring village. 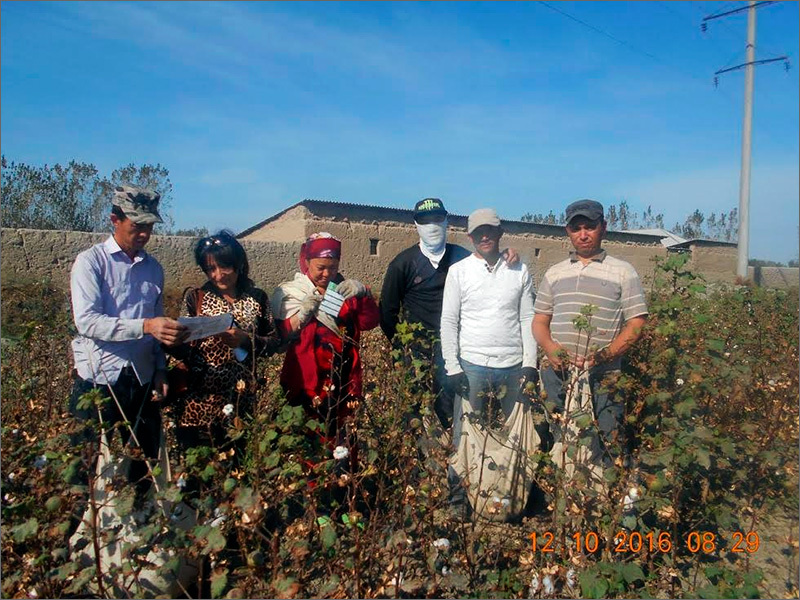 Meanwhile, employees of Clinic #4 in Samarkand—some 100 employees—have been collecting cotton in the village of Ilim since September 15. They were forced to collect 70 kg a day as well; now the requirement is lowered to 20 kg a day. But given there is almost no cotton on the fields, doctors, teachers, and students are only collecting four to five kilogrammes a day. 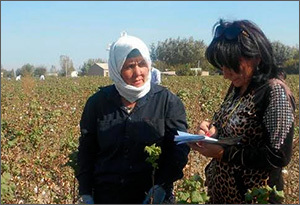 The cotton-picking campaign in Uzbekistan will conclude soon. The cotton-pickers—mainly state employed workforce—will gradually be sent back home and forgotten until next autumn. However, these images that Besstrashnye take every year will document an era. 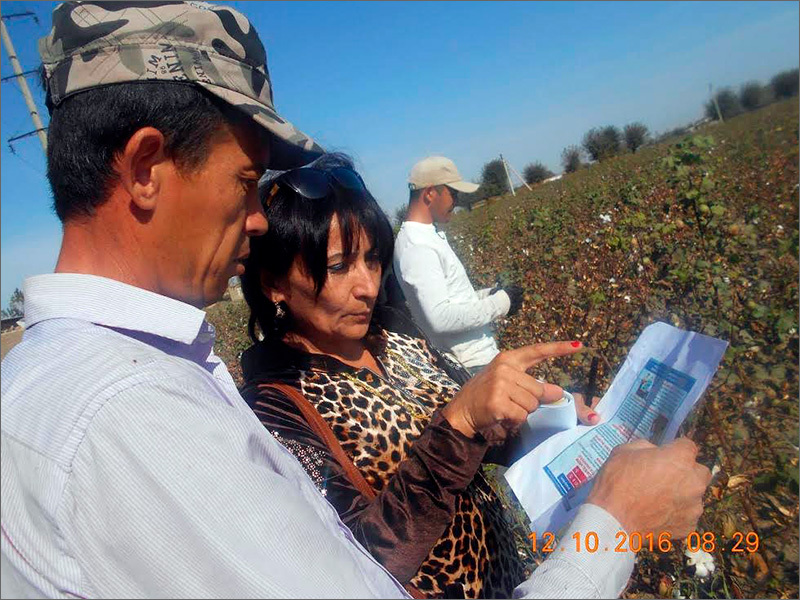 These documents will serve as irrefutable evidence of how agriculture is managed in Uzbekistan, the way authorities use and humiliate humans who fear even raising their heads, not voices, and submissively accept their fate.